Case studies | Cirius Group Inc.
Our customer's success is at the heart of all we do, read their stories below. UPMC is a $16 billion world-renowned health care and insurance provider in Pittsburgh, PA with more than 30 academic, community, and specialty hospitals, 8,500 licensed beds, more than 600 doctors' offices and 80,000 employees. 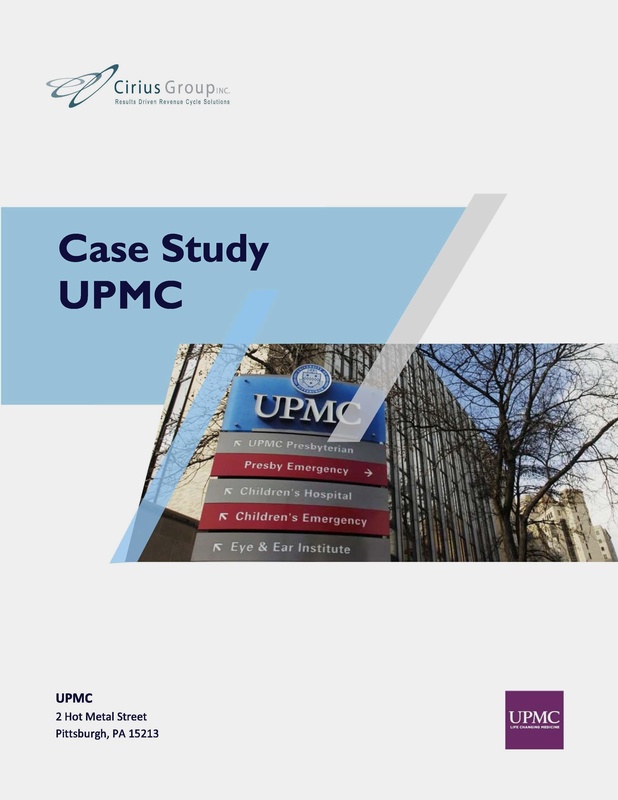 UPMC wanted a partner whose strategy was in line with their strategic objectives, a vendor with flexibility and one that offered customization. UPMC has partnered with Cirius for over 15 Years and has received consistent recognition for financial results. 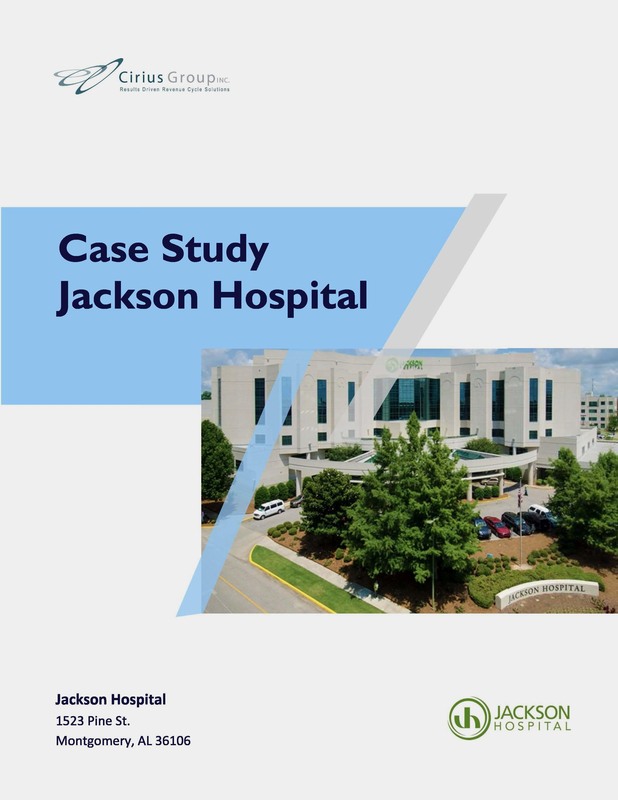 Licensed for 344 beds, Jackson Hospital is one of the largest community, not-for-profit hospitals serving Montgomery and the Alabama River Region. They are consistantly recognized for providing excellence in care. When Jackson began using the Cirius Prebill UB & 1500 and ERA system their A/R days were @ 95-100. With Cirius they reduced the A/R days to a low of 32-33. This story has a happy ending though, in 2008 Jackson Hospital returned to Cirius and they've enjoyed low A/R days and increased cash ever since. She then described the process they used to make their final selection. "We knew we had to make a change. We lined up vendor A (existing vendor) against four other vendors. We brought the selection down to two, compared them side by side, then chose Cirius." 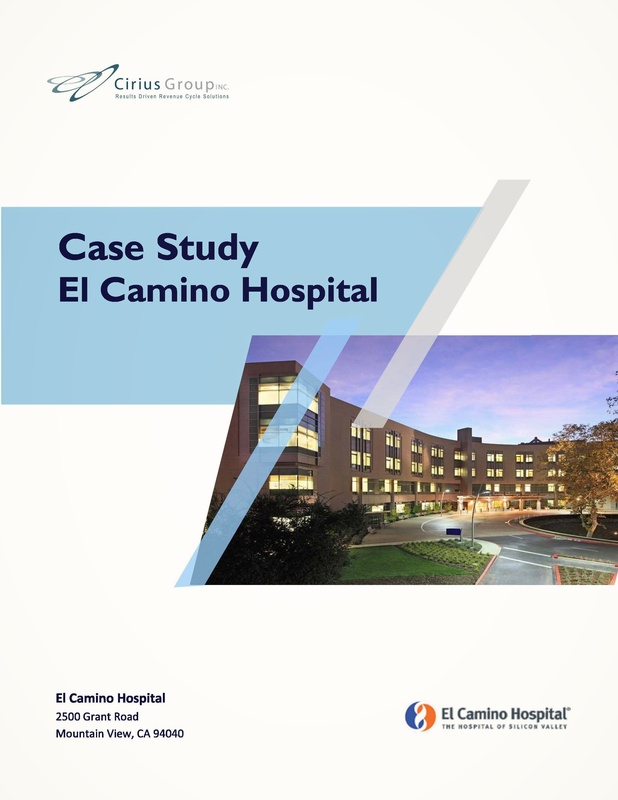 El Camino Hospital is a non-profit hospital with 420 beds based on a 41-acre campus in Mountain View, California with a smaller hospital campus in Los Gatos, California. El Camino hospital has served communities in the South San Francisco Bay Area for over 50 years and is a designated Nursing Magnet hospital. A new Integrated Medical Office Building is under construction and will include space for hospital support, outpatient services, and medical office space. 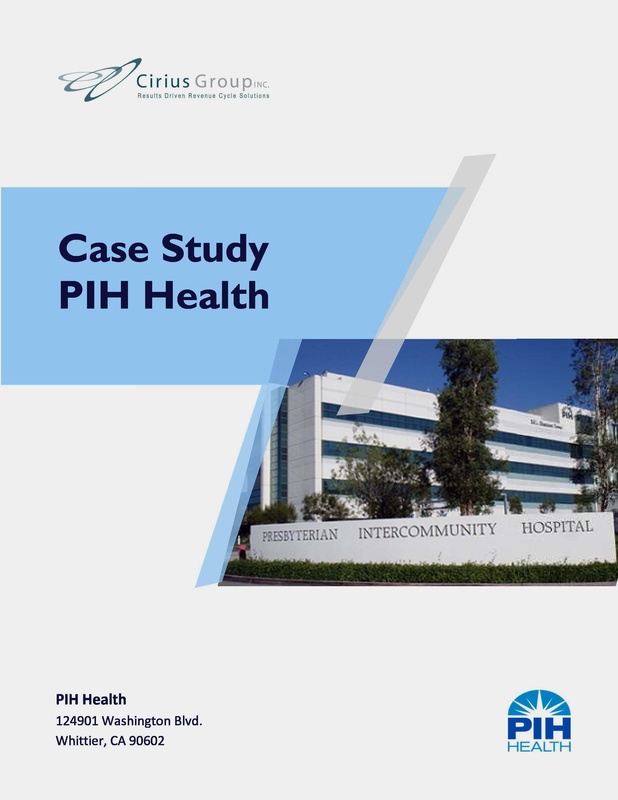 El Camino Hospital went live with Cirius Group's PreBill and Remittance Manager solutions in 2015 and was rewarded with outstanding financial results.